Don’t use public Wi-Fi for BANKING or other financial services . It’s too risky and often leads to disaster. Try to only use public Wi-Fi for general browsing or streaming purposes. ALWAYS install a reputable antivirus program on your mobile device. It should scan for spyware, malware, phishing and other nasties. ONLY connect to SECURE WEBSITES !!!!! Look for the HTTPS and avoid HTTP . Remember to turn OFF the Wi-Fi function on your mobile device when you are not using it. 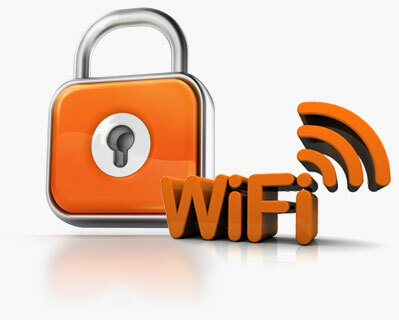 Wi-Fi can provide an easy pathway into your mobile device and its data. PROTECT YOUR PASSWORDS!!!!! There are several versions of security software for your mobile device. Get one!!!! ALWAYS pay attention to the name of the Wi-Fi you are going to use. Hackers will often broadcast a “Free” Wi-Fi to encourage you to use. If you see the word “Free” in the name of the Wi-Fi service avoid it if possible. Enable the “Forget This Network” feature on your Wi-Fi setup. This will stop your mobile device automatically connecting to a Wi-Fi network you have used before. Where possible use a Virtual Private Network (VPN) when you are using an external Wi-Fi network. A VPN will process all your data via a secure network regardless of the free Wi-Fi you are using.